The World's most popular ad blocking browser extension Ad Block Plus now available for Android devices. 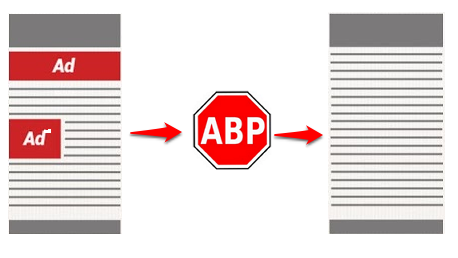 Ad Block Plus released new app to block annoying ads from web browsers on android devices. Ad block plus blocks all online advertising when browsing, and when using your favorite apps like Angry Birds free version. Adblock Plus blocks mobile ads, video advertising, banners, push notifications, display advertising, HTML5 advertising, and much more. Adblock Plus might have limited functionality, depending on the Android version on your device and whether your device has been rooted or not. It supports Android 2.1+ devices.